Superb solubility and great flavors - what more could you want? If you do not like torture your palate or bother with the dissolution of its BCAA before consumption, reach for precisely this product. Only the highest quality amino acids. 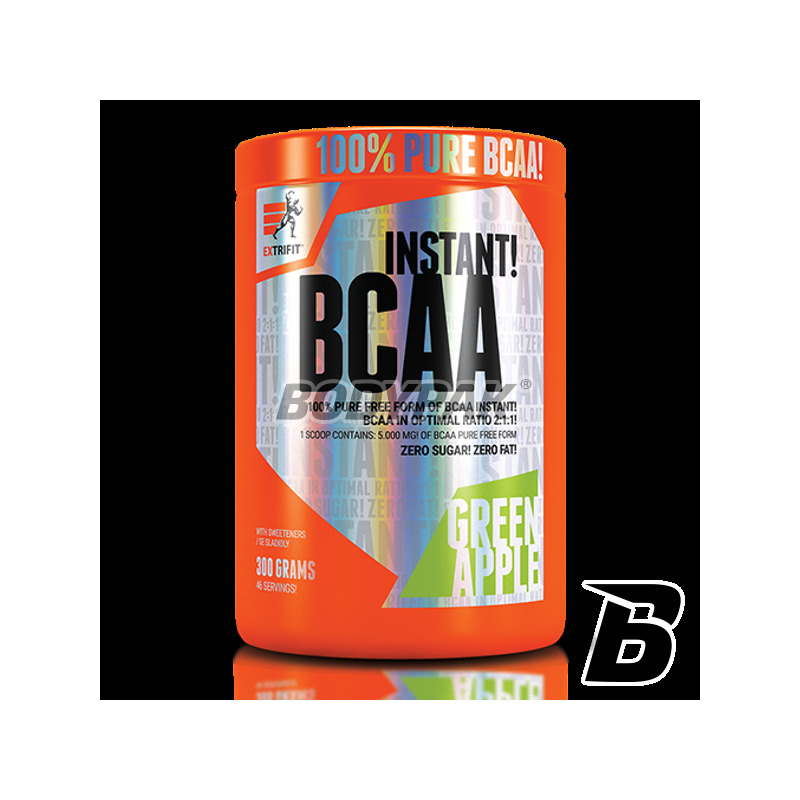 Thanks to the use of amino acids of "instant" you will not have to worry about the solubility of the product Extrifit BCAA Instant! A characteristic feature of competitive products is the poor solubility - no more. Reaching this product will be able to enjoy the great taste of the drink, which will not find floating lumps. Branched chain amino acids are recommended for use during weight loss / reduction to reduce catabolism after training but also as a supplement to amino acid profile meals. 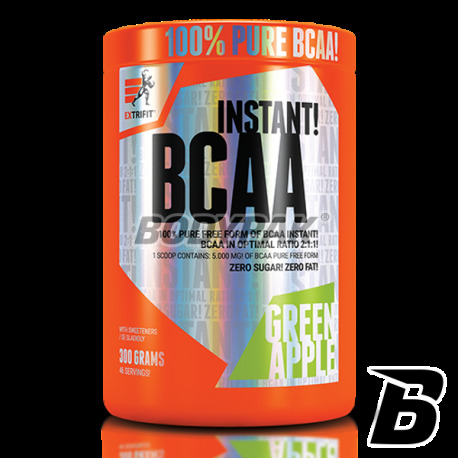 You will not find stronger than Extrifit BCAA BCAA Instant! The product is available in 7 delicious flavors. Components: instant BCAA (L-leucine, L-isoleucine and L-valine), citric acid (acidity regulator), flavor, sucralose and acesulfame K (sweeteners), beta carotene (color), soy lecithin. Świetna rozpuszczalność i smak (cytryna najlepsza). Warto się zastanowić nad zakupem, a przy promocji to wręcz obowiązkowy zakup! Bardzo dobrze się rozpuszcza, w końcu wersja instant ;) smak czarnej porzeczki genialny wręcz!